Voted as one of the top ten things to do in Northwest Florida by Florida Travel & Tourism Guide, this 10-week outdoor concert series features a variety of music from Motown, R&B, jazz, blues, class and modern rock, country, reggae, golden oldies to legendary tribute show bands suitable for all ages. 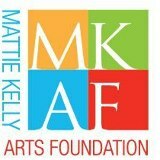 Concerts in the Village will be held at the Mattie Kelly Cultural Arts Village in the heart of Destin, off Commons drive just west of Home Depot. The incredible lineup of talented musicians will perform on our new permanent stage, the Dugas Pavilion, and guests will enjoy a more space on the expanded Village Green. Bring your favorite lawn chair, wine and picnic or enjoy dinner prepared on-site while you enjoy live music in Destin. Carrabba's Italian Grill, Jim N' Nicks Bar-B-Q, among other local restaurants will be alternating freshly prepared food weekly. Admission is $8 per adult or $15 per couple. Concert parking located conveniently at Grace Lutheran Church. All concerts are free to MKAF members and children under 12.